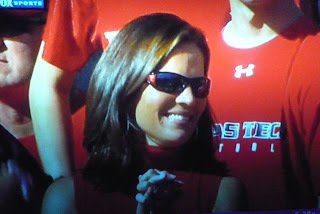 As if you needed any more reason to like Texas Tech, aside from their crazy head-coach and fun to watch offense, we at the CMSB point out Graham Harrell's mom Kathy. She graduated from college in 1980, which puts her in the 50 year-old range. 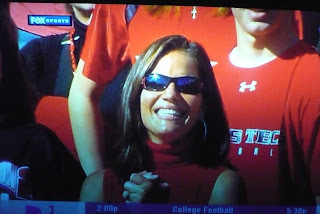 Can you say "cougar"? Kathy Harrell, you are the fist inductee into the "CMSB Club Cougar". Congratulations.